Every week the Eli Residential Group scours our network for pre-market and off-market home to give home buyers and investors access to properties they can’t find anywhere else online. If you are interested in a property you see here or have specific needs you cannot find on the market, please reach out to us at Team@EliResidential.com to talk to a real person, not an automated response system. Description: Open 1BR condo with extra den/sunroom in Eastview Condominium. Recently updated, one garage parking space, on an upper floor. Modest condo fee + pool. Blocks to the Ballston Metro and newly developed Ballston Quarter. Perfect for owners or investors looking for long-term growth potential. 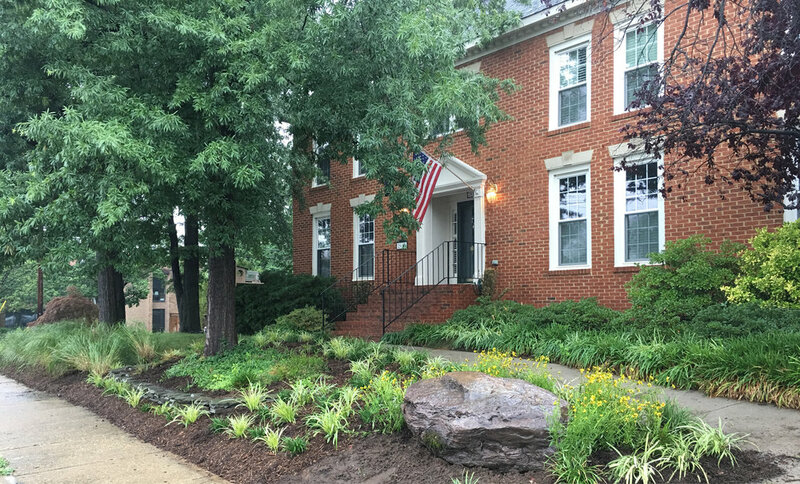 Description: 3 BR/3.5 BA three-level townhouse with a one-car garage one block off Columbia Pike, across from Towers Park (dog park, tennis + basketball courts, playground). Minutes from Amazon HQ2 and The Pentagon. Nearly 1,500 sq. ft. and a private patio perfect for grilling or outdoor dining. Description: 1 bedroom, 1 bath condo in Tysons One Park Crest. Over 1,000 sqft with hardwood floors and private balcony. Convenient to Harris Teeter, shopping and Greensboro Metro Station. Condo fees include gas, water, and HVAC. Description: 4 bedroom, 3 bath two-level single-family home with nearly 1/3 acre private lot surrounded by mature trees. Good condition, needs some renovations, but full gut not required. Off-street parking and quiet residential neighborhood. One Mile to EFC Metro & Westover. Description: Unique investment or future owner-occupant opportunity in one of Alexandria's top neighborhoods, Belle Haven. High-end gut renovation in 2017 with existing two-year lease for $5,000/mo in place. Investors can collect great rent and sell in two years with excellent appreciation driven by Amazon HQ2. Owner-occupant can secure today's pricing and pay down mortgage through remainder of lease. 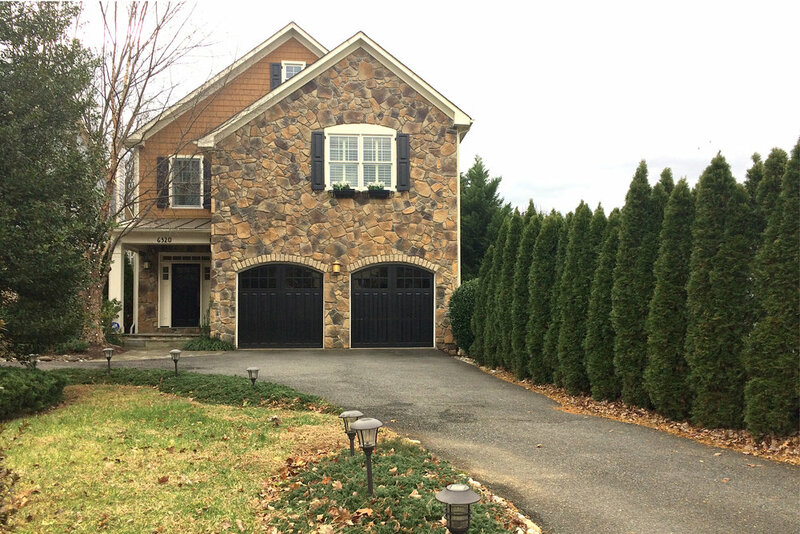 4BR/3BA, open floor plan, massive 2+ car attached garage, open floor plan. Description: 700+ sqft 1BR/1BA condo in 2005 building with tons of amenities including outdoor pool, indoor basketball court, fitness center, and daily on-site staff. Blocks to Dunn-Loring Metro, walkable to restaurants & bars, minutes to Mosaic District & Tysons. Low condo fees, one parking spot. Description: Over 2,600 sqft with 4 bedrooms, 3 full baths, and 2 half baths, 2-car garage, and fenced in backyard. Built in 2000 and located in a quiet HOA community. Walking distance to Dunn Loring Metro, downtown Tysons, and multiple parks. Photos available upon request. Description: Massive 1,425sqft 2BR/2BA + den (functional 3rd BR) condo on a quiet side street on the edge of Clarendon. Built in 2010 with modern finishes, open living space, balcony, and covered parking. Beautiful master suite. Blocks to Clarendon Metro or stroll through residential neighborhoods of Lyon Park. Description: New construction with 5 bedrooms and 4.5 baths. 4,350 sqft with the ability to fully customize interior and exterior finished. Expected delivery, Spring 2019. Description: Huge 2 bedroom, 2.5 bath condo with 2 garage spaces. 2036 sqft with floor to ceiling windows, updated bathrooms, gas fireplace and a huge patio. Renovations by Case Design. Description: 5BR/5.5BA custom home on dead-end street in sought-after Cherrydale, walking distance to Lee Heights Shops. 6,100 sqft finished space over three levels, sitting on nearly 1/4 acre private lot. Large two-car attached garage. Still time to select finishes. Summer 2019 delivery. Description: Over 2,600 total sqft. 3 large bedrooms and 2 full bathrooms on main level. Lower level has bonus room with full bath, den, laundry, storage and family room. Unfinished two car garage. Plenty of parking, large front and back yard. No HOA. Description: New construction in Arlington’s Bluemont neighborhood with 2-car attached garage. Over 3,900 sqft with 5 bedrooms and 4.5 baths with the ability to choose your finishes. Walkable to Ballston and parks. Description: New construction with 5 bedrooms and 4.5 baths. 4,350 sq. ft., two-car attached garage and flat lot. Available for showings now. Expected delivery, winter 2019. Description: 4BR/3.5BA four-level 1,600 sqft townhouse with beautiful finishes in Mosaic District. Built in 2014 and includes large rooftop deck, garage parking, open floor plan, and ample guest parking. Situated on quiet street and surrounded by open space for tons of natural light. Available 2019. Description: Beautifully updated 3BR/2.5BA homes of historical significance with nearly 3,200 sqft and just over 1/2 acre of private land. Includes sunroom, extensive landscaping, and unfinished basement, and an attached 2-car garage. Description: New construction with 5 bedrooms and 4.5 baths. Over 3,900 sqft with an open concept floor plan and high-end finishes. Expected delivery, October 2018. Description: 4BR/3.5BA over three levels with attached two-car garage and in-ground pool on 8,000 sqft lot. Blocks to Clarendon, Metro, and steps to ART bus. Move-in or update to liking. Huge Airbnb returns for a creative homeowner/investor. Description: 3BR/4.5BA/2,400 sqft townhouse with 2-car garage, built in 2006 in McLean Crest community. Walk to downtown McLean shops and restaurants. Within Franklin Sherman ES, Longfellow MS, and McLean HS boundaries. Currently tenant occupied with option to purchase with tenant or purchase at end of lease. Description: New construction in Arlington’s Penrose neighborhood. 4,185 sqft with 5 bedrooms and 4.5 baths with the ability to fully customize interior and exterior finishes. Expected delivery, Late 2019. Description: New construction in Arlington’s Penrose neighborhood. 4,350 sqft with 5 bedrooms and 4.5 baths with the ability to fully customize interior and exterior finishes. Expected delivery, Late 2019. If you are a homeowner, investor, builder, or agent who would like your off-market or pre-market property featured for one million local readers on PoPville, ARLnow, or Tysons Reporter, please email us at Team@EliResidential.com.